Algeria on Friday said its presidential elections will hold on April 18, ending speculation that the vote could be postponed. "Bouteflika has issued a decree tasking an electoral commission with preparing for the April 18 polls," the presidency said in a statement. 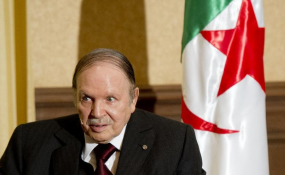 It is not clear yet, if incumbent President Abdelaziz Bouteflika, who suffered a stroke in 2013, will run for a fifth term. The 81-year-old wheelchair-bound president has been in power since 1999. According to reports, he is rarely seen in public. In recent years, energy-rich Algeria's finances have been hurt by the global drop in oil prices, prompting cuts in state subsidies.